The time of tests | Write about what? 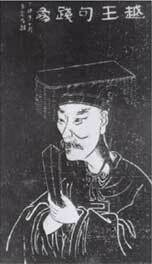 The ancient Chinese refined the process of choosing officials based on testing. Prospective government employees would spend days ensconced in little tents taking the massive exam. If they scored high they could expect a cushy job as part of the bureaucracy. Testing was proposed as a way to determine who got these positions in order to avoid the twin evils of obtaining government jobs through bribery and nepotism. Whoever did the best on the test for a position should supposedly be the most qualified candidate regardless of wealth, status or ancestry. These tests were still biased towards the wealthy and privileged in ancient China. People who grew up in families that had money often did not have to work and could afford private tutoring. So they were much more likely to make the cut. The same thing holds true today. If you check out research you will find that the best predictor of a students’ success in the public schools is the educational level of their parents, closely followed by stability of family life. Both of these characteristic are impacted positively by living in a household with a higher social economic status. So it makes sense that the average student in a wealthy suburb does better in school than the average student in poor inner city area. However, that difference is deemed unacceptable. Unlike the Chinese we have forgotten the true purpose of testing. For them it was to judge the abilities of the individual candidates – not their families’ status or their tutors’ capabilities. Testing in the United States educational system is more closely linked to grading the school systems and teachers than determining the individual abilities of the students. We need to realize that authentic testing is to help us determine where students stand. If a test is a worthwhile measure not everyone can be expected to pass. When students fail a test in a class and can consistently make up the grade with test corrections, they soon think “What is the point in studying?” This kind of practice is class has led to inflated grades that are less than accurate. The resulting standardized testing that has been foisted on the schools has led to instruction that is excessively focus on these tests. Some schools require teachers to provide reviews for state tests even when students do not need it. The accountability to pass a course needs to be back on the shoulders of the students. Then, the educational gurus can concentrate on making sure the tests are valid and reliable. This entry was posted in Educational trends, Standardized Testing and tagged China, Purpose of testing, Standardized test. Bookmark the permalink.